A brilliant intelligence officer at MI5, Guy Liddell’s reputation was damaged forever by one great failure: his deception by the Cambridge spies. Ben Macintyre describes the slow dawning of treachery described in the final volume of Liddell’s remarkable diaries. 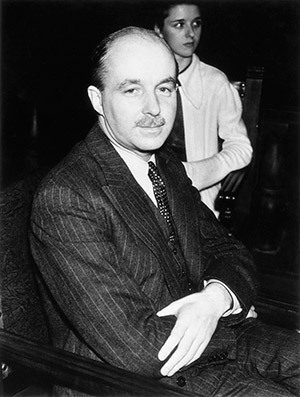 Between 1939 and 1953 Guy Liddell, MI5’s director of counter-espionage, kept a diary. Almost every working day he would dictate an entry, often several pages long, to his secretary Margot Huggins, who would then type it up and lock it in the personal safe of MI5’s director general. The diary was so secret it had its own code name: ‘Wallflowers’. This diary is probably the single most important British intelligence document of the 20th century. It describes in meticulous detail the daily workings of MI5 (the Security Service), MI6 (the Secret Intelligence Service) and other parts of the Whitehall intelligence machine: the turf battles, the personalities, anecdotes, successes and failures. It also tells an extraordinary story of treachery and betrayal.